CTE Directors of Southeast Tennessee spend the day working with Taffe Bishop, CTE Core Consultant, and Sarah Williams, Talent Improvement TN DOE, on the Perkins V Transitional Plan. Innovative practices in Project Based Learning in Agriculture were featured in hydroculture and plant science. Tour also included Mechatronics Program of Study and Advanced Manufacturing with affordable virtual welders from Reality works, Health Science Anatomy and Physiology with cadaver study materials through the textbook used in Sequatchie County, and Maintenance and Light Repair class in action working on cars and electronics. Great Tours and Great Day! The West TN Directors met in Weakley County on March 8th to being the Perkins V transition application process for the 2019-20 school year. Core Consultants Stephanie Kelley and David Brewer presented CTE Directors with valuable information to guide work on local applications. The 2019 Spring CTE Director Meeting will take place at the Fairfield Glade Community Club in Fairfield Glade, TN. Room reservations can be made by calling Fairfield Glade directly. To make a reservation, please call Fairfield Glade at 1-888-334-5233 and use the code word TDOE. Click Here for the registration site to the 2019 Spring CTE Director Meeting. This quarterly meeting, hosted by the Tennessee Department of Education, is open to CTE directors from across the state. The meeting will take place on April 25-26, 2019 at the Fairfield Glade Community Club in Fairfield Glade, Tennessee. Career Technical Education Spring Meeting time is here. 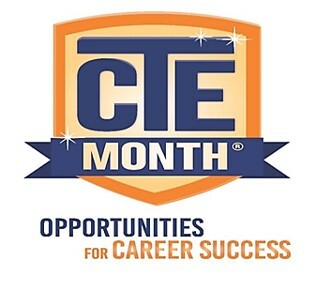 CTE directors attending the spring meeting will have the opportunity to participate in industry presentations. The industry presentations will feature multiple career clusters and will be coupled with an interactive lesson application. Additional information about industry presentations will be available in the coming weeks. Join us for dinner and fellowship on Thursday! Guests: Guests are welcome. The price per guest is $25.00. All payments are due by Wednesday, April 17, 2019. Career Technical Education Directors in EAST Tennessee received training on the Perkins V Transition Plan Guidelines for 2019-2020, March 6, 2019. Creating the next generation of college and career ready students for Tennessee.